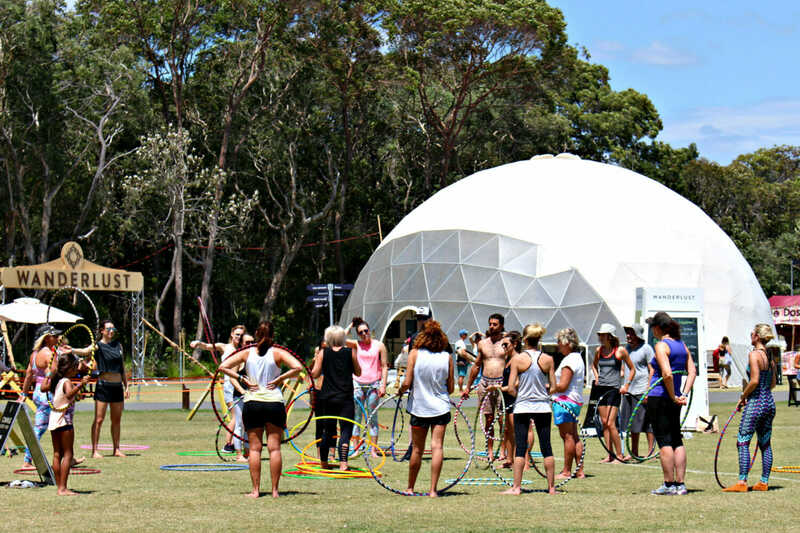 Wanderlust Sunshine Coast is a 4-day celebration of mindful living. From November 9-12, a world-class group of yoga and meditation instructors, musical performers, speakers, artists, and chefs conjoin at Novotel Twin Waters Resort. It’s a transformational retreat in one of the world’s most awe-inspiring natural resorts. Action-packed, this celebration of mindfulness isn’t just for the dedicated yogi—bush walks, dancing, hula hoops, amazing food, music and talks are all on the program! Celebrating it’s third year on the Sunshine Coast, this event is not to be missed! Whether you’re an experienced yogi, meditator or are brand new to practice, you can create your ideal day at Wanderlust. There are classes for all levels, from beginner to expert, as well as a wide variety of practice styles and venue types. Mix in meditation or relaxing yin classes with sweaty, uplifting vinyasa, or challenge yourself with something completely new like standup paddleboard yoga or aerial yoga. Feel the energy of hundreds of yogis moving together in our flagship outdoor venue, or drop into an intimate, indoor class accompanied by a live musician or DJ. Each festival offers a taste of internationally recognized teachers as well as top local instructors. Music is the beating heart of Wanderlust Festivals. True to our name, our music lineup is just as much about discovery as it is about seeing artists you know and love. Revel in a wide variety of musical performers in myriad settings, from epic main stage performances to intimate acoustic shows to the many performances accompanying our yoga classes. And if you get inspired by the artists on stage, you can try your hand at a few tunes with drumming, guitar, and other music workshops. Get outdoors and dive deep into the surrounding natural beauty with one of Wanderlust’s many guided adventures. Flow and float on a standup paddleboard, explore the surrounding bays by kayak, test your sea legs on a surfboard, or roam the shore on horseback. Enter to WIN our BIG LOVE Prize Pack and you could win a 4-day ticket to Wanderlust + more amazing prizes worth over $830!